Hideo Kojima wasn't able to accept any of the awards that Metal Gear Solid 5: The Phantom Pain earned at the 2015 Game Awards, but he'll be able to make up for lost time this year. Host and producer Geoff Keighley has announced that Kojima will take the stage at the 2016 Game Awards to receive an Industry Icon Award. 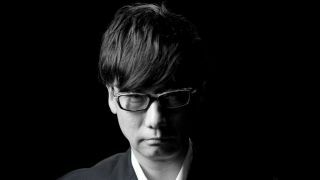 Details are sparse, but it seems that Kojima was prohibited from attending last year's ceremony due to a business agreement with his former employer, Konami. It was an unfortunate situation the ruffled the feathers of some - including Keighley, who broke character from being a jovial host to call out Konami and brand the situation as "disappointing." But hey, better late than never, right? The Game Awards air at 6pm Pacific / 2am GMT on Dec 1.